The Roman colony of Emona was founded on the site of today's Ljubljana, exactly 2000 years ago. The archaeological remains of the city, whose full name was Colonia Iulia Emona, are still visible today. 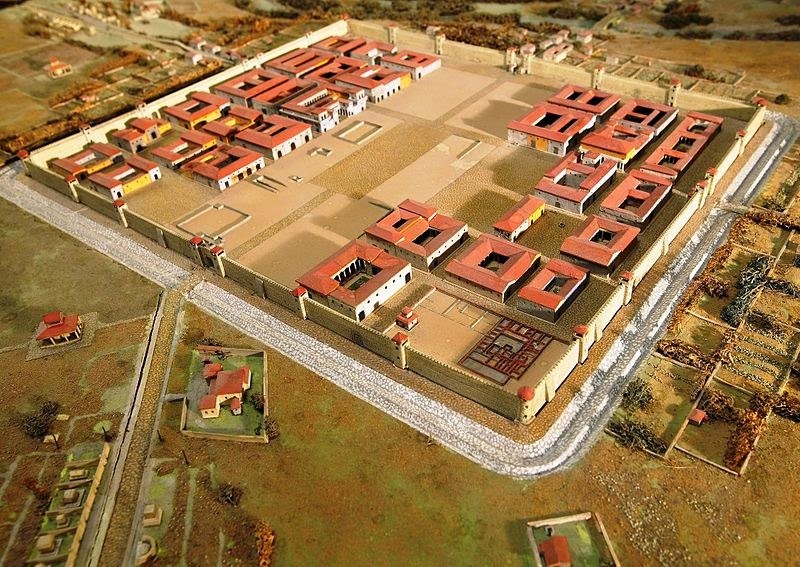 You can take a stroll around the Roman wall or visit the latest spot, iEmona. It's located in the Chopin underpass at the Congress Square and includes archaeological remains of the original Roman pavement, virtual projections, models and such. Such an anniversary is definitely an important event for the city of Ljubljana, the celebrations will continue well off to the year 2015. You can visit a whole series of events, which are suitable for everyone. The main event called Ave Emona!, will be held from 22 - 24 of August 2014 in Congress Square. The life of ancient Romans will be shown, so do expect Roman legionnaires, gladiators and dances in Roman outfits. All the important cultural institutions will participate in the celebrations, such as the Ljubljana Castle, Cankarjev dom, National Museum of Slovenia, Ljubljana City Library and others. The entire programme can be found here (in Slovene). And yes, togas and sandals are mandatory.